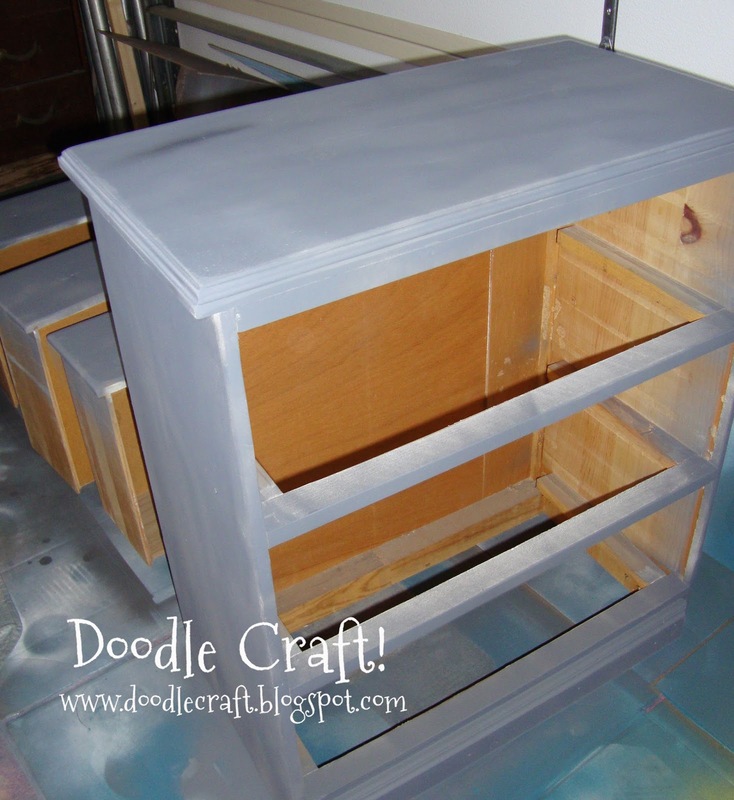 Doodlecraft: Aqua Ombre Chest of Drawers! 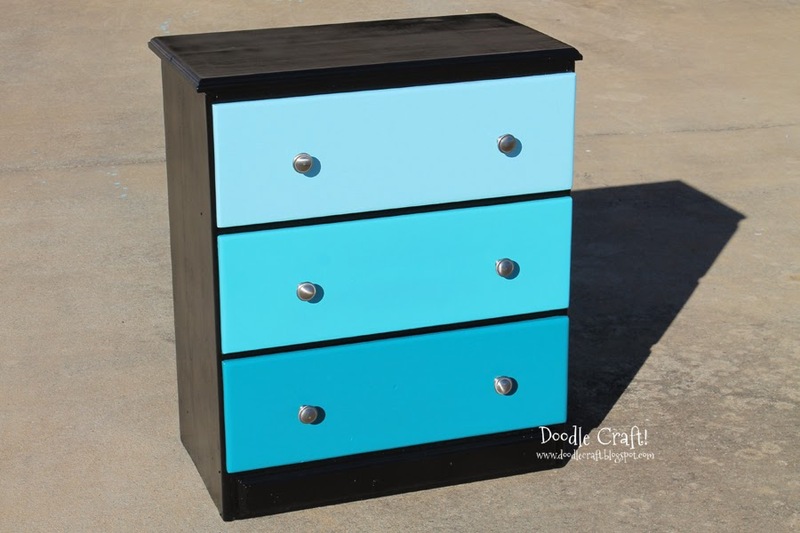 Aqua Ombre Chest of Drawers! painted and repainted over and over again. 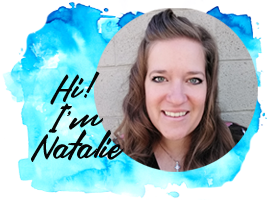 Most recently, it was blue. Here's the paint I used. I totally love Rust-Oleum ultra cover spray paint. I like it way more than krylon or other brands I've tried. 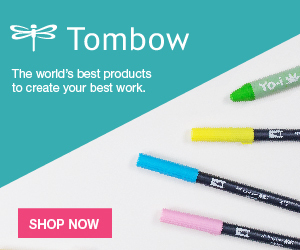 I love it and they don't pay me or give me free product to say that. it was the perfect in between shade of aqua! It sprayed on beautifully and looks great! directions and the chairs looked gorgeous! before anyone even sat on them. and our pants stuck to them. So, not a believer. Yet. I'm going back to Rust-Oleum for now. For the dresser front, it looks great and has held up wonderfully. So good there. The black casing was my daughters choice, and I love it! It's very reminiscent of a paint chip card! The dresser looks great! This is actually very helpful for me trying to pick which color of aqua to paint my mirror. 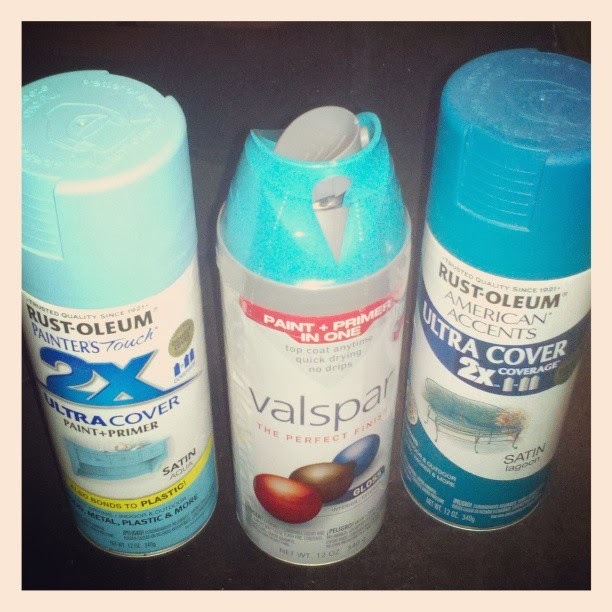 I have been between the two Rustolem, but that Valspar seems perfect. What is the name of the Valspar paint you used? Thank you!